Congratulations Adam Vornsand and Nick Cline! Serving your last leg in the military and wondering what’s next? When civilian life is just around the corner, it can seem impossible to plan for a financially sound future while still on active duty. And yet, as daunting as it seems, creating a plan now for a successful civilian career is one of the best decisions you can make for your future self. Choosing the right career path isn’t as straightforward as it once was. Everyone wants a career they’re passionate about, with a healthy bottom line. San Marcos, Texas, Nov. 30, 2018: Coast Flight, a San Diego-based flight school known for its best-in-industry training standards, has recently expanded to offer full flight training programs in their San Marcos, Texas location. For over a decade, Coast Flight has held a reputation as one of the country’s top flight schools, turning out pilots who receive the highest number of conditional job offers in the nation. By offering personalized training overseen by high-ranking military leadership and a high instructor-to-student ratio, Coast gives its students an upper hand in their aviation career paths. Coast’s modern fleet of over 45 aircraft ensures students can train on their schedule. College isn't for everyone. Make $300,000+ per year and Travel the World without Traditional Education. Sick of being confined within classroom walls, spending endless hours studying for courses you’re not passionate about? Not only is the educational system outdated, it just doesn’t fit the bill for everyone. So why try to conform to what worked for your parents, but isn’t working for you? It’s no wonder Gen Z is disenchanted with traditional education. Serving your last assignment in the military and wondering what’s next? When civilian life is just around the corner, it can seem impossible to plan for a financially sound future while still on active duty. And yet, as daunting as it seems, creating a plan now for a successful civilian career is one of the best decisions you can make for your future self. 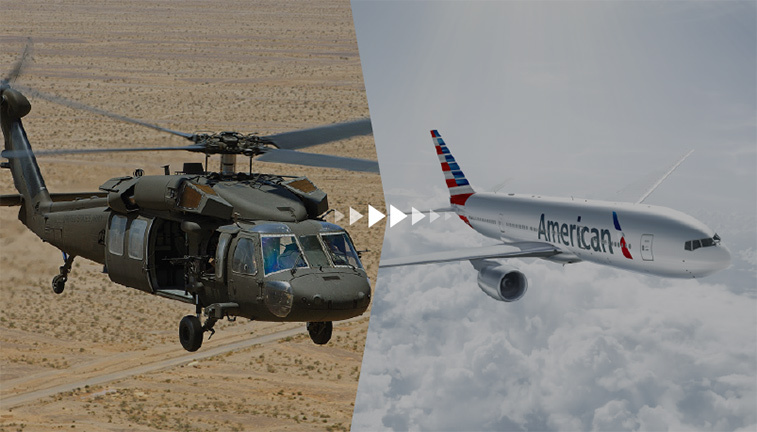 If you’re a current helicopter pilot with a year or less left until your End of Active Service (EAS), there are steps you can take now to start pursuing a career with the airlines that’ll have you career-ready by the time you retire.